The Association of Waste Managers of Nigeria, popularly known as Public Private Participation, says Lagos State has now become one of the dirtiest cities in the world. 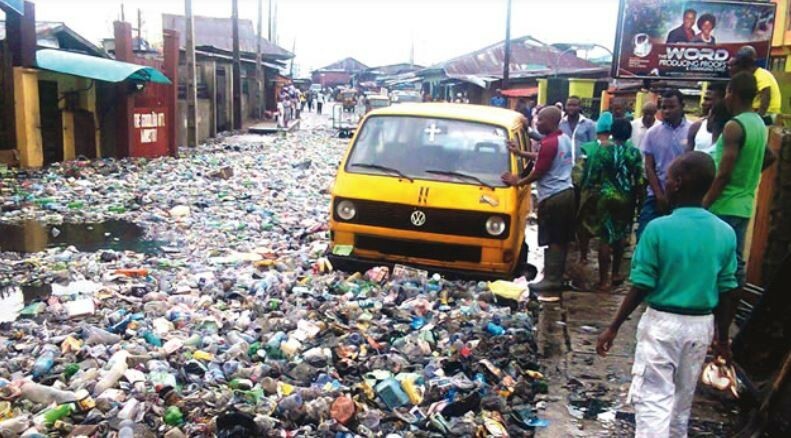 The Vice-Chairman of AWAM, Mr David Oriyomi, who made the assertion on Tuesday in Lagos while speaking with newsmen, said the city had become dirty due to deliberate attempts to relieve the waste managers of their job. Oriyomi, said that Governor Akinwumi Ambode introduction of the Cleaner Lagos Initiative in 2016, with the intention of a single foreign company known as “Visionscape” to take over the residential waste collection from 350 PSP, led to improper waste management. “The most disturbing is that if implemented, it would have resulted in massive business closure and majority of our over 25,000 employees would have lost their jobs. He added that the redress made the foreign company to offer members of AWAM their job back, as a subcontractor with uneconomically and unsustainable terms. “It is therefore, with great hope that we welcome the emergence of the new governorship aspirants, particularly of Mr Babajide Sanwo-Olu.